Taking the Stress Out of Planning Your Event! 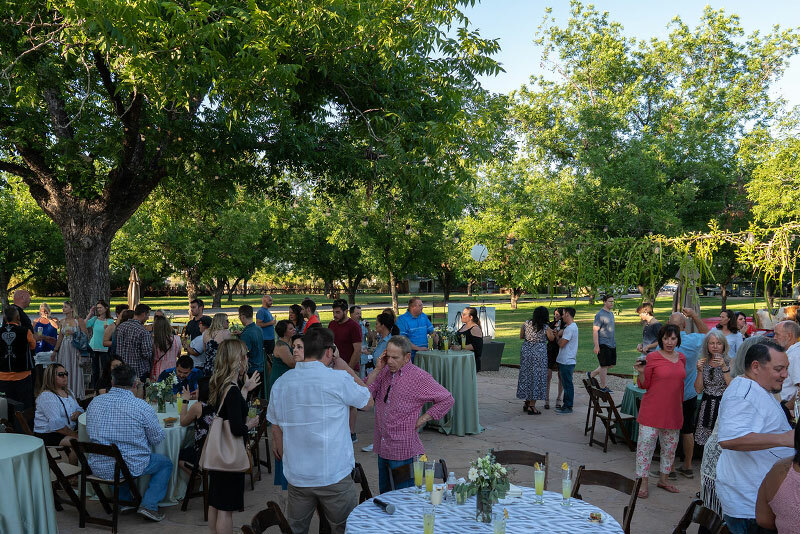 From intimate appreciation dinners to national conferences for Fortune 100 companies, The Farm at South Mountain can hold over 3,000 guests at any given time. Only 10 minutes from Sky Harbor Airport and Downtown Phoenix, The Farm is the ideal location for out of town guests. 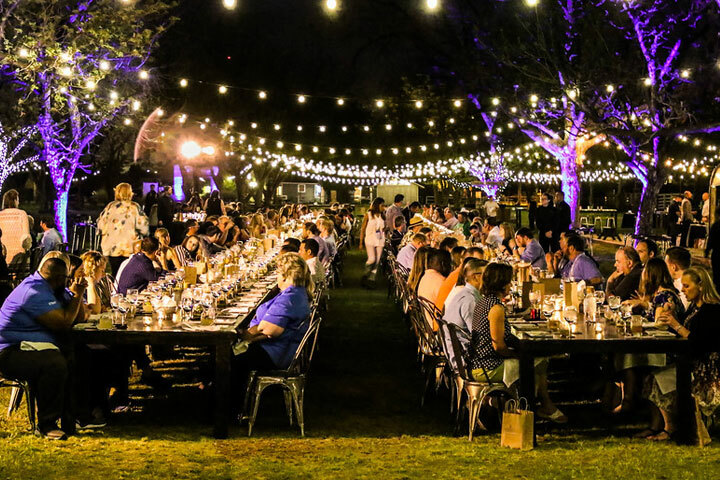 Hosting hundreds of events each year, each member at The Farm is trained on full service event planning. 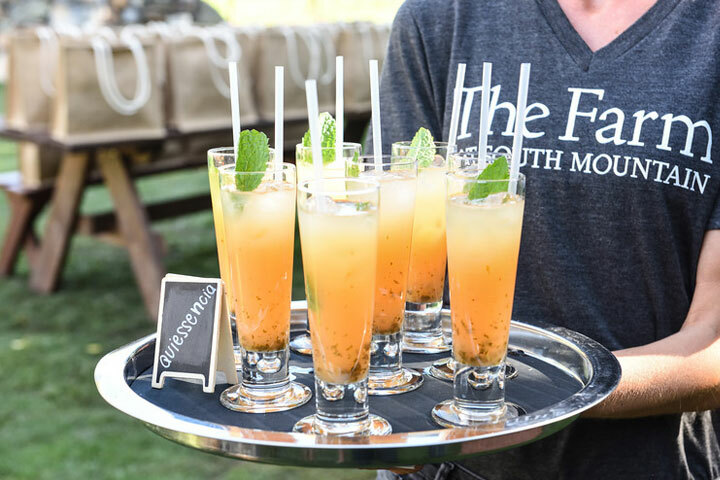 The Farm at South Mountain can plan your full event including décor, transportation, hotel accommodations, entertainment, catering and promotional items. Already have it covered? We can help by giving you the best local event contacts in town to ensure your event is the best memory your guests continue to talk about. 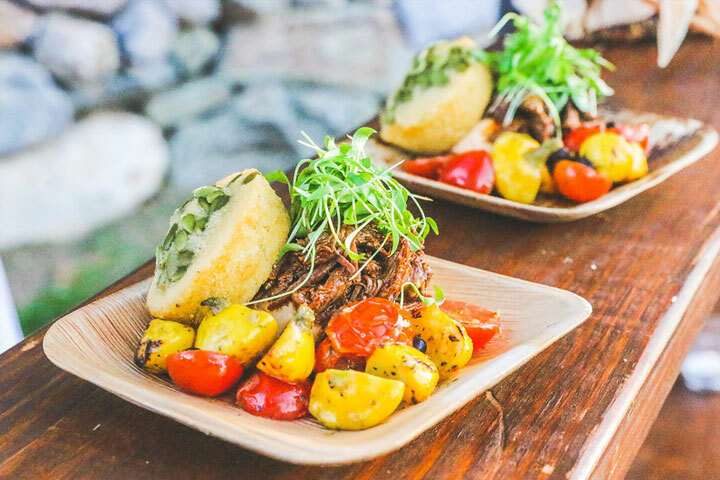 All events at The Farm are catered by national “Caterer of the Year”, Artisan by Santa Barbara Catering. 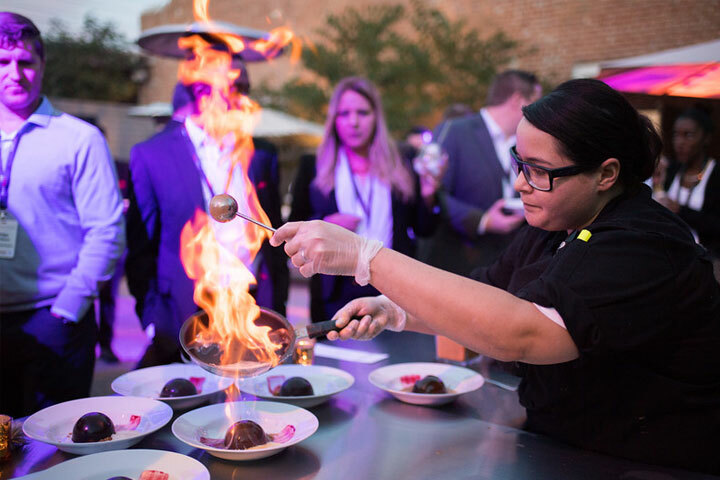 With hundreds of menu options and unique food presentations and action stations, your guests will not only rave about the delicious, seasonal food, but also about the unique experiences that they had while dining and enjoying The Farm! Check out this video to see all of our unique Arizona event space! Many consider The Farm at South Mountain to be a haven from the traditional hustle and bustle of the city. The Farm is a unique combination of rural tranquility with a beautiful park like setting. We are the perfect location for corporate and social occasions alike. This dazzling 10-acre property features multiple spaces to accommodate any group or type of occasion. 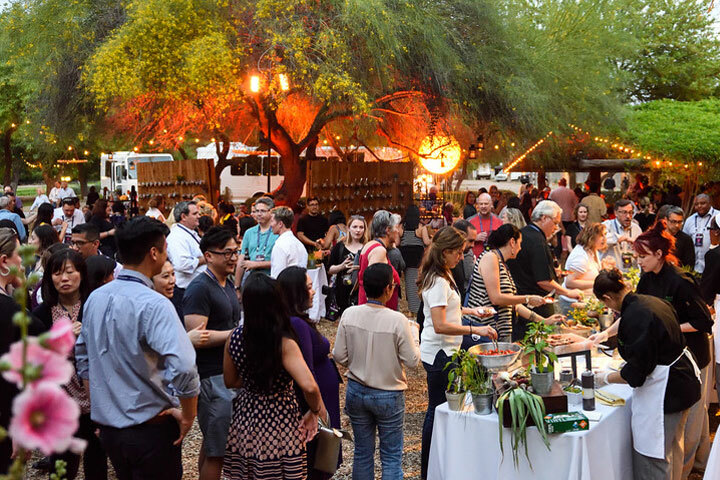 Whether you are looking for an elegant dining experience featuring local produce, a festive cocktail party with libations and delicious food stations, or a true family picnic featuring games and activities within our expansive grove, The Farm at South Mountain is the place for you. As you relax under our oversized pecan trees, open grassy space and our blooming flowers, your guests will know they are somewhere special when they arrive at The Farm. Covering 2400 square feet, The Canopy is a magical space that can host groups anywhere from 50 to 250. 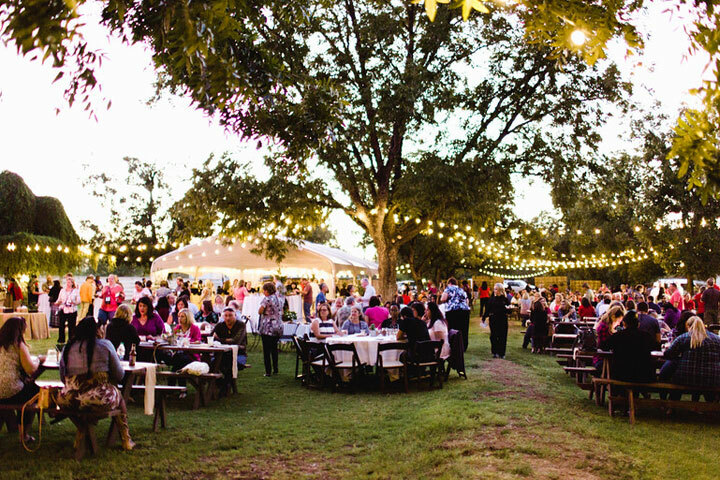 Your ceremony will be held amongst our lush pecan trees with dinner served under our canopy. This expansive location is sure to offer refined, rustic elegance on such a special evening. Our largest venue, Stone Grove is spacious enough to accommodate 300+ guests, with the capabilities to host both your ceremony and reception all in the same place. Our stonemason handcrafted the organically flowing walls that surround this rustic venue by compiling locally sourced ancient granite stones together to create mortar free architectural masterpieces. Built into the wall is a beautiful wood burning oven that can be used during your wedding celebration to create that unforgettable “wow” factor. This romantic European-style venue is a perfect location to dine, dance and enjoying your special night with your family and friends.